18 Mar Post by Salon Buzz Filed under Seasonal Buzz. Natural, fresh, and unique: this spring is all about you! Eugene Souleiman hair stylist summed up the coming hair trends perfectly as he reflected on his work at the Stella McCartney Spring 2016 collection: “It should be effortless. I want the girls to feel cool and pretty. It’s just a celebration of the individual.” So let’s see how you can bring out the you in you! 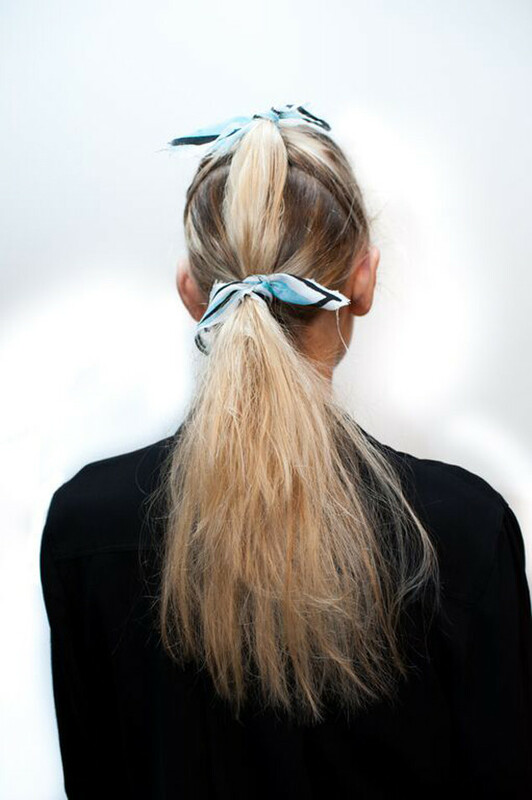 Call it the bun, “sumo knot,” bunny or ponytail, whichever you chose it’ll be a definite win. The latest “knotty” compositions introduced at last September’s New York Fashion week will lend you a stylish and carefree look that can be embellished with added ribbons. The “out-of-pool” or wet look was a big hit during last fall’s worldwide fashion week. Wet and sleek ‘dos reflect the next generation of modern hair, and you should definitely be a part of it. It’s elegant, classy, and irresistible. Frazzled and loose, this may be the most authentic you. This look is stylish and lively, and it’s the perfect way to celebrate the end of the winter season. French, crown, or rope braid, or just a subtle twist, the emphasis this spring will be on tight and streamlined. These refreshing compositions will not only earn you immediate compliments, but they can also keep your hair nice and sleek when the spring breezes pick up.